When it comes to food, the Lone Star state cuts no corners. From deliciously spicy chili to large tantalizing grilled meats, there’s something to appease even the finickiest palate. 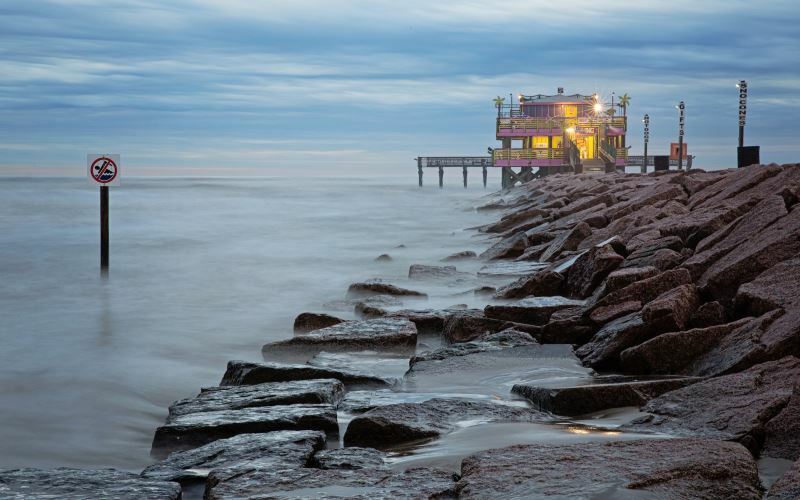 And if you visit one of the oceanfront restaurants in Texas, you can indulge in seafood while surrounded by the Gulf of Mexico. But there may be one more thing that these restaurants don’t usually advertise: ghosts. Because of the bloody history of the coastal region, many spirits haunt it. And if you’re anywhere near the following nine supposedly haunted restaurants, you can expect to experience the paranormal or see a ghost. 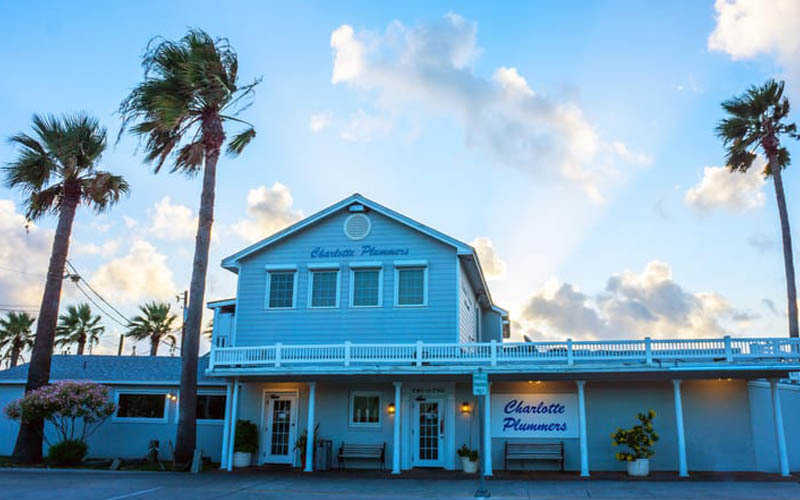 Serving the freshest seafood since the mid-1970s, Charlotte Plummer’s Seafare Restaurant is a local favorite. It’s especially famous for fried shrimp, seafood gumbo, and authentic hush puppies. Further enhancing the food’s flavor is the beautiful view of the Rockport marina. There may be something else this restaurant has to offer. And it’s definitely not on the menu: a ghostly entity. A group of tourists, which included two California psychics, started screaming because they saw a child jump from the docks. One woman ran outside and jumped into the water behind him. But she couldn’t grab the child or see his body anywhere in the water. Since no one else saw him, no one believed her. But a thorough search by paranormal investigators revealed that she may have seen a ghost. Maybe you can prove her right if you too see him at Charlotte Plummer’s Seafare Restaurant. Sharky’s is a local favorite for fresh seafood lovers. Also famed for its Great White Shark Burger and Whale Shark Sundae, it’s a great place to take the whole family. You can even go alone to enjoy the spectacular views of the Gulf of Mexico as you treat your palate to the restaurant’s offerings. But only venture there if you think you can handle seeing an apparition. A few people who visited Sharky’s claim that they saw the ghosts of soldiers stumble around the restaurant. Considering how the Gulf of Mexico is the permanent home of several WWII wreckages, there may be some truth to these claims. If you’re in Galveston, you can’t afford not dropping by The Spot. This popular hangout is famous for its lightly fried shrimp served on homemade po-boy bun. You can also head to one of the bars or dessert parlor located on the same property. While taking in the wonderful views of the Gulf of Mexico, however, never forget you’re on an extremely haunted island. If the stories are true, the Spot may also have a few ghosts of its own. Though none of the ghosts have revealed themselves, a few diners have experienced cold spots. The ghosts have also played pranks on patrons, messing with their electronic devices or hiding their things. So, if your things go missing for some time, you can probably suspect The Spot’s resident spirits. 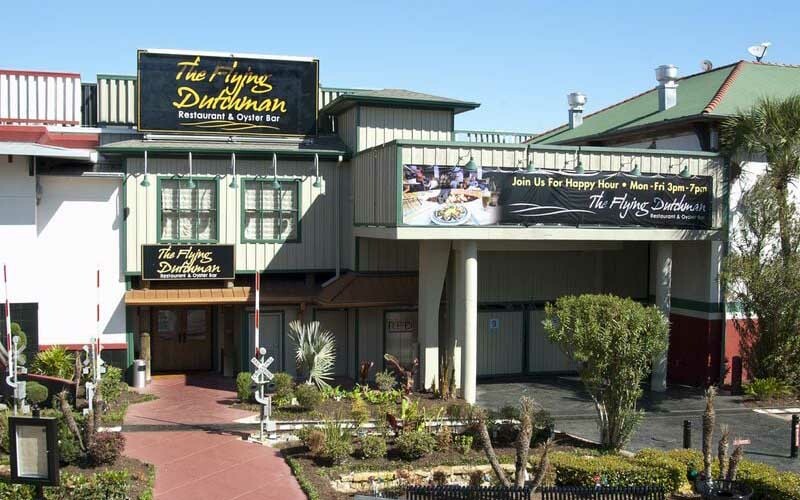 The Flying Dutchman at the Kemah Boardwalk is one of the exciting oceanfront restaurants in Texas. Not only do you get to enjoy the beauty of the Gulf coast, you can dig in fresh seafood and Cajun dishes. Another aspect that makes this restaurant exciting is the possibility of running into the spirit of a dead girl. According to a couple who visited it in 2012, they heard soft taps on the window behind them. They turned to look outside and saw a little girl in an outdated pink dress. 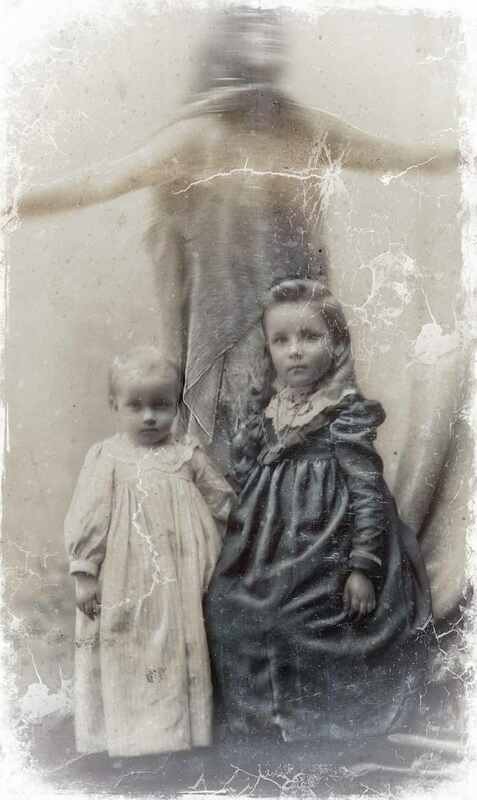 The child smiled their way and ran off. Resuming their conversation, they heard taps again after five minutes. The child laughed when they looked her way and ran away. She repeated this two more times. The fifth time they heard the taps, no one was there. The tapping continued. Only this time, it was done by an invisible hand. 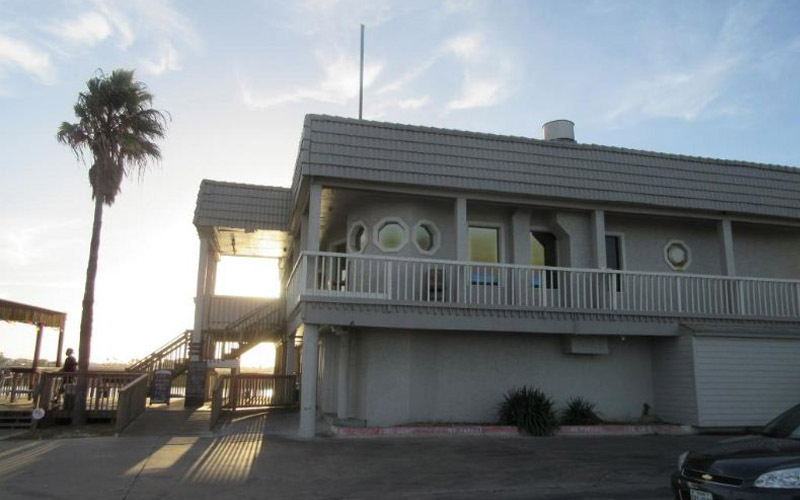 Located on Padre Island, the Boathouse Bar & Grill promises a mouthwatering menu which you can enjoy in the waterfront patio. There are also four full bars that serve signature margaritas, wine, and a selection of beers. What you may not know is that there are other types of spirits in this restaurant. While at the Boathouse’s bar, few people report seeing a young woman standing against the wall. She would watch everyone without interacting with them. A college student spotted her once and decided to talk to her. She continuously glared at him before walking through the wall behind her. Though you may not get to see her, you’ll still go home with a full belly and great memories courtesy of the Boathouse Bar & Grill. An award-winning restaurant, Redfish Willie’s is renowned for seafood, pasta, and Cajun dishes. The waterfront grill offers pavilions where friends and families can gather to enjoy a meal with a view. You can also listen to live music as you dig in over the weekend. While you’re there, though, you may want to check under the table from time to time. The spirit of a mischievous boy reportedly plays pranks on diners. According to one, he was surprised when he felt something touch his leg. When he looked under the table, he saw a boy laugh and tip his hat. The boy then disappeared in front of his eyes. Another story tells how the boy tied the shoelaces of another diner and laughed when he tripped. But, apparently, it was the man’s fault as he had scolded him and told him to get out from under his table. So, don’t antagonize Redfish Willie’s ghost unless you want to become his next prank’s victim. 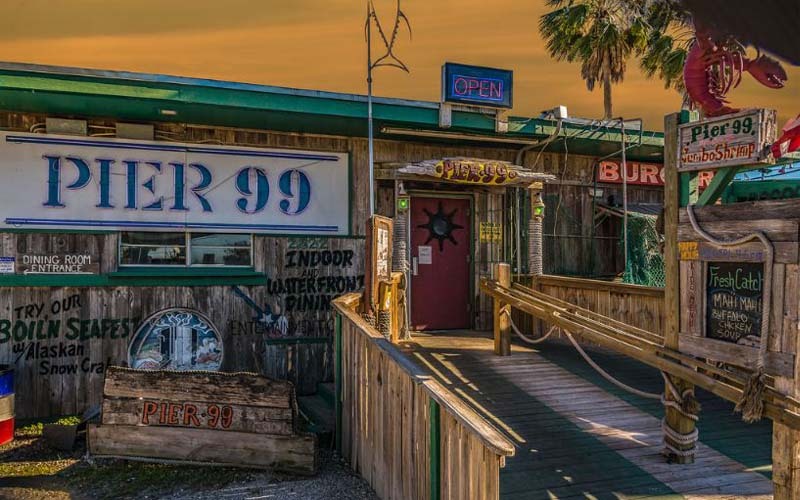 Famous as the largest patio on the water in the coastal bend, Pier 99 is one of the more popular oceanfront restaurants in Texas. It offers great views of the water and the USS Lexington from the deck. The menu is also designed to please every palate. From burgers to seafood, you’ll definitely find what you want. There’s more to Pier 99 though. According to some diners, the place is haunted by a native Indian ghost. Possibly one of the Karankawa Indians who lived on this beach, the ghost keeps a close watch on the diners. According to one, she believed the ghost was a statue until she saw his eyes follow him. When she asked the waiter about it, he told her that there was no such statue on the property. Unsure what to make of it, she consulted several of the best phone psychics she knew and they all agreed: the spirit of a dead native lives on the premises. If you do see this ghost during your visit to the restaurant, just remember to be respectful. At Mikel May’s, it’s always vacation time. 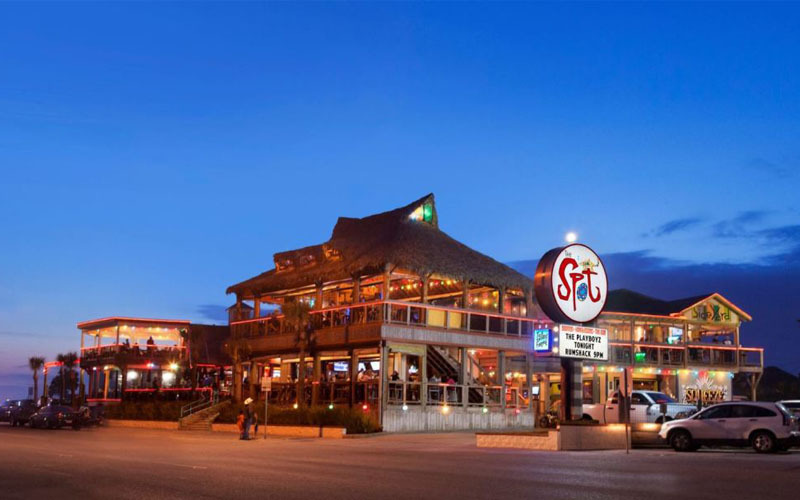 The sports bar and grill overlooks the Gulf of Mexico, offering great views of the water. You can also enjoy affordable yet delicious entrees, such as crab and shrimp nachos and steak sandwich. But what the brochures won’t tell you is that Mikel May’s Beachside Bar & Grill may be haunted. Over the years, especially during football season, diners claim seeing the ghost of an elderly man. He would intently watch the TV and shout whenever his team lost. A woman claims that he hurled the salt shaker at the bartender during the last Super Bowl. So, if you’re ever at the bar and you notice a deathly pale old man watching the TV, consider steering away from his path. Gaido’s Seafood Restaurant is famous for blending southern deep-frying with Southwest open-flame grilling and Creole flavors. It prides itself on its personal service and freshest seafood, two of many factors that make it The Coastal Classic. But there may be one more reason Gaido’s has remained consistent: the watchful eye of its ghostly founder. Several diners claim S.G. Gaido dropped by their table to ask them how the food and service was. One diner wrote that Guido tried taking his plate away when he said the food was a little dry. But he became frustrated when he couldn’t pick up the plate and apologized before disappearing into thin air.